Let me guess, your organization has embarked on a ERP initiative and NetSuite is at the top of your list. If you said yes, you're in good company! There are hundreds of Google searches per month of people just like you searching for information on NetSuite Competitors, NetSuite vs (a particular application) or "NetSuite Alternatives", you get the picture. To further illustrate this point, according to Gartner, ERP software happens to be the largest category of enterprise software spend at staggering $31.4 billion and growing at 7% per year! The bottom line, everyone is moving their business applications to the cloud! Now if you are just starting your research, you will quickly see there's no shortage of options and opinions when looking to replace your existing accounting systems. Last I checked there were roughly ~50+ ERP / Financial Management applications available to license, granted many of them serve a specific niche industry. That being said, within the SMB and Mid-Market space (defined 1-1000 employees) there's really only a handful of serious software vendors to consider. These include SAP, Oracle+NetSuite, Microsoft, Salesforce, Infor and Sage. And each of these software vendors have a handful of ERP options to choose from. The NetSuite Competitors Guide below represents the most commonly seen ERP and Financial Management systems that compete with NetSuite head-to-head or are often replaced by NetSuite. While this post is full of great information, it is intentionally limited. If you want the full NetSuite Competitors Guide you will need to download it. It's just too big to publish in a blog format. Bookmark this page and use the links below to jump around as you continue to explore NetSuite alternatives. Often the go-to financial management software for startups and small businesses, Intuit’s QuickBooks offers a range of features designed to manage early needs of a small business, such as payroll, sales, inventory, and other needs. Small businesses or startups with no subsidiaries or global needs in the following areas: manufacturing, wholesale, professional service firms, contractors, non-profit entities, and retailers. ● NetSuite supports multi-language, multi-currency, multi-subsidiary consolidation and other complex accounting functions, such as fixed assets, multibook accounting, recurring billing, revenue recognition, and more. QuickBooks does not. ● While QuickBooks focuses exclusively on accounting, NetSuite is a complete business suite. ● Unlike the QuickBooks-required software installation, NetSuite is deployed as a web-based software. Sage was founded in 1981 as an estimating and financial management software for the small business space, which it still targets today. Based in Newcastle, UK, the company has a global presence in 24 countries and can attribute most of its growth through acquisition. Although Sage does target small businesses as a general rule, Sage X3 is best positioned to serve the manufacturing industry. Process manufacturing can benefit from its batch processing and formula/receipt management capabilities. 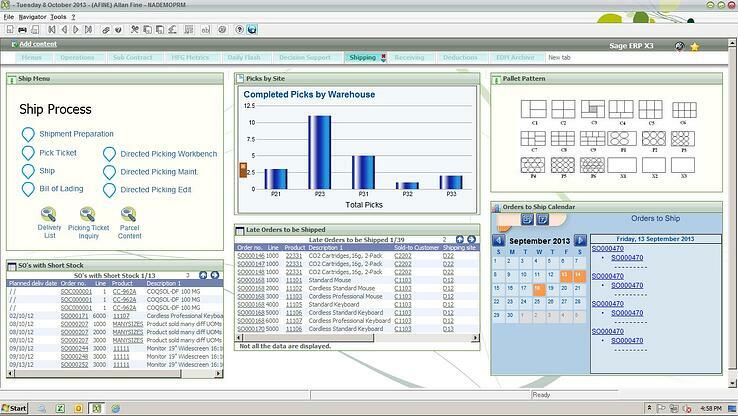 Sage also offers discrete manufacturing functionality for make-to-stock, make-to-order, and demand planning, along with flexible pricing and inventory management. ● Sage will require more manual processes and is less accurate than NetSuite, due to multiple ledgers and multiple charts of accounts. ● Sage does not support extensive customizations and may require customers needing heavy customizations to utilize Amazon Web Services for hosting. ● In Sage, budgets are often not in alignment with financials. SalesForce and Unit 4 developed FinancialForce (FF) in 2009 as an ERP product for it’s SFDC customers. Based in San Francisco, CA, SalesForce is a global enterprise heavily funded by venture capital. SFDC customers that are accustomed to the platform or who have developed extensive customizations on Force.com. FinancialForce also caters heavily to professional service organizations and customers in North America. ● FF is not a complete ERP solution, while NetSuite is. Furthermore, FF is not a global solution and is only available in English. ● When using FF PSA, any complex processes require customization, such as resource management and Rev Rec. 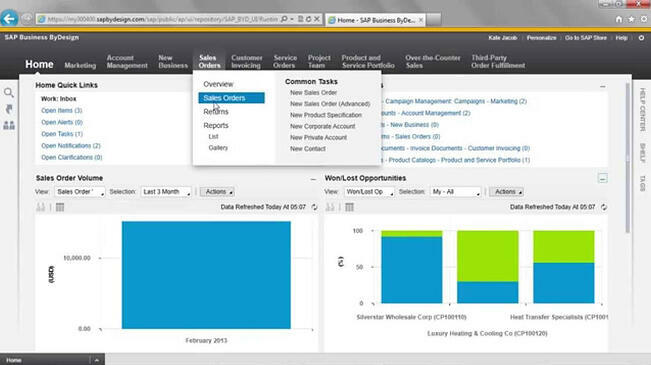 ● Reporting is limited on FF, while NetSuite offers extensive and real-time reporting. Intacct was founded in 1999 to provide customers with an online alternative to on-premise financial management software. Intacct was recently acquired by Sage in July 2017 for $850 Million. 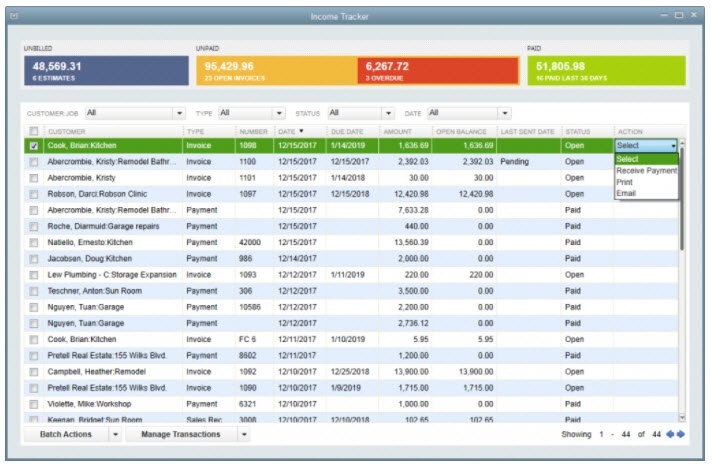 Intacct serves small to medium companies in software, services, and nonprofit industries looking only to manage their financial functions. ● While the cost of licensing Intacct is lower than NetSuite, customers are limited to financial capabilities, therefore limiting value over time. Intacct is not considered a true ERP system for this reason. 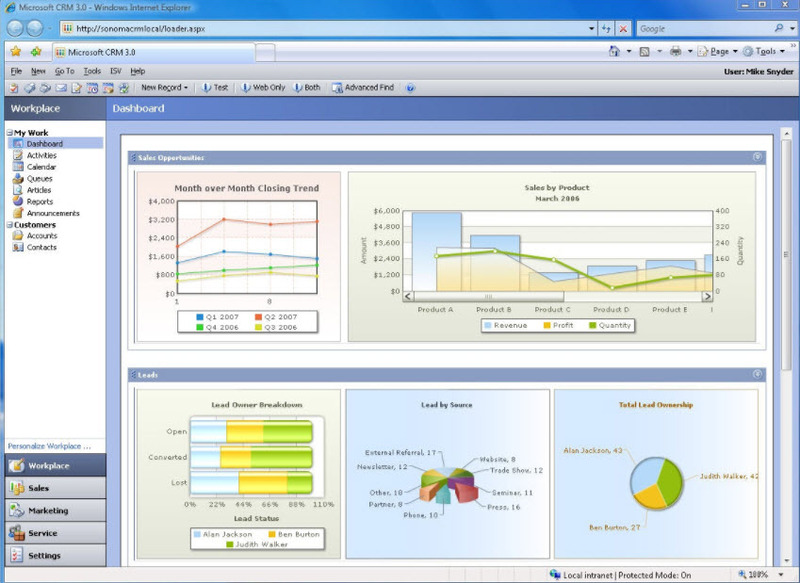 NetSuite is a full-service ERP system. ● Intacct is not scalable to the enterprise level, which could stifle its high-growth customers. NetSuite’s customer base includes both small businesses and large enterprises and provides the flexibility to shift when business needs evolve. ● Reporting functionality can be difficult to use in Intacct, whereas NetSuite provides over 200 financial reports that can be configured out of the box, with point and click customizations. What is now known as “NAV” began as a Denmark-based startup in 1984. In 2002, Microsoft acquired the company, which provides a global ERP system to small to medium-sized businesses. NAV is popular among wholesale distribution and manufacturing companies, which comprise the bulk of its customer base. 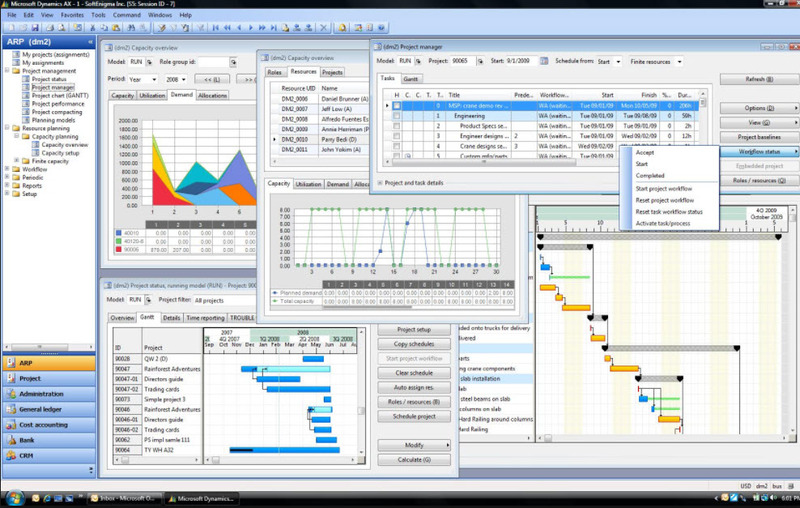 Due to its similar aesthetic to Microsoft Office, customers with Office dependencies often find NAV as an appealing option. ● With NAV, upgrades can be complex and challenging, whereas NetSuite completes all upgrades automatically. ● NAV is not a true multi tenant SaaS product, whereas NetSuite is. ● There is a great deal of uncertainty around NAV’s implementation costs, whereas NetSuite can provide a fixed bid. 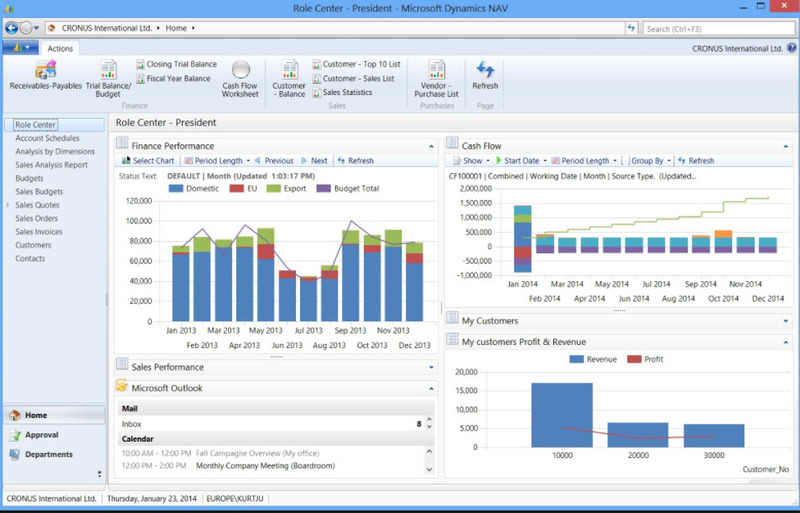 Microsoft Dynamics Great Plains (GP) is a mid-market accounting solution serving customers internationally. GP was originally created in the early 1990s and is the first Windows-based accounting offerings. Companies working within Consumer Packaged Goods, Distribution, High Tech, and Discrete Manufacturing who are heavy users of Microsoft products. ● GP is an on-premise software, while NetSuite is a true SaaS solution. This translates to cost saving over time for NetSuite customers, as upgrades and implementation are automated and/or easy to implement. ● While GP does not make it easy for companies to scale as their needs change, NetSuite offers a highly flexible and configurable environment where changes can be made quickly and easily. Microsoft Dynamics AX began as a database and programming tool for the enterprise and evolved to offer ERP through several acquisitions. AX was built for enterprise level customers in manufacturing, distribution, public sector, retail, and services. ● NetSuite’s SaaS model offers a multi-tenant architecture, AX does not, with each deployment running on isolated infrastructure, even though the Azure platform is multitenant. ● NetSuite offers a quick deployment, where AX’s deployment process is lengthy. 365 Enterprise Edition (365 EE) was purpose built for Manufacturing, Distribution, Public Sector, Retail and Services for 250+ users. There is a Small Business Edition for companies with less than 250 users. ● Product simplicity. 365 is too big & difficult for partners to propose the right configuration & tough for customers to understand what is critical. 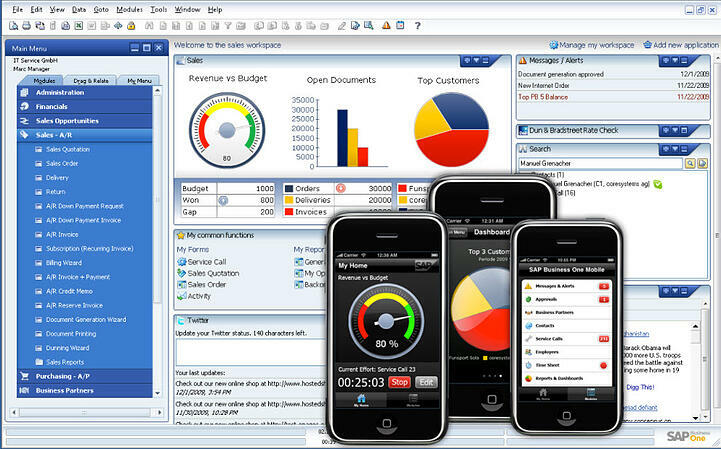 ● NetSuite provides native integration for many capabilities like Mobile, CRM and BI. 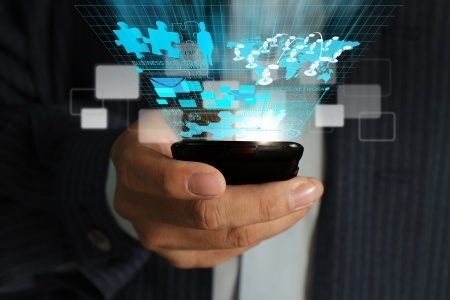 ● 365 requires separate technology stack needed to run BI, Mobile, and CRM. $14.4M in sales (Hoovers), 350% growth YOY. Over 2,000 customers in 30 countries globally. Primarily targeting small to mid-market sized companies. 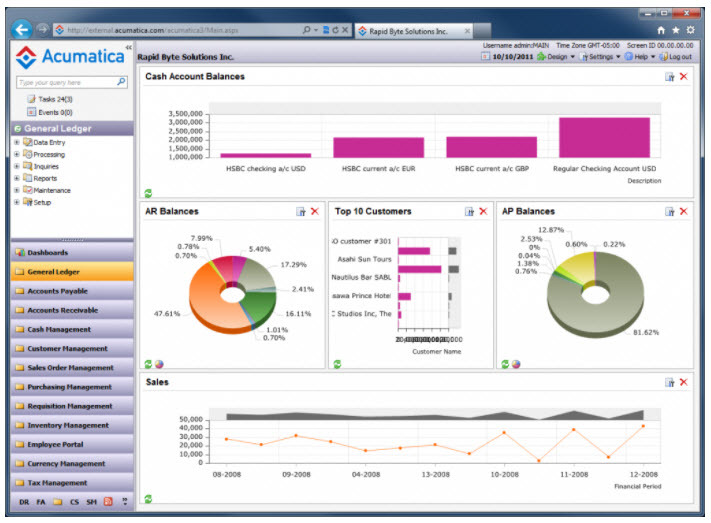 Acumatica appeals to smaller customers as it charges by transactional volume, not per user. However, this may become a weakness as the customer's’ scale. Largest market share of ERP Scandinavian countries. Acumatica allows their customers to switch between a fully managed SaaS solution and a traditional on-premise solution (install and manage on own or by a partner). The SMB market which requires deeper functionality (than a typical QuickBooks), more flexibility, decision support and options for integration and customization. $20-50M in revenue/50-500 employee range. ● Limited functionality – offers a little bit of everything, but not a lot of anything. ● They claim CRM, but it’s more like a contact management system. They have been releasing new versions very frequently and may eventually catch up. ● Reporting is talked about like it is easy to do, but in actuality, it requires sophisticated programming knowledge – even then, minor changes are tough. ByD is SAP’s first organic cloud ERP (~$1-2B+ investment).It was released in 2007, and pulled back a few months later for re-tooling. It was re-released in 2008 with a focus on mid market Professional Services, Wholesale Distribution and Manufacturing. Financial consolidation, serial numbers, landed costs, budgeting and planning, sub-contracting, revenue recognition and CRM. No ecommerce native to the platform. SAP Business One was initially launched in Israel in 1996 under the name TopManage. SAP acquired TopManage financial management software in 2002 and rebranded it as SAP Business One. The acquisition allowed SAP to reach out to the midmarket through its partners and also to gain additional business from the smaller subsidiaries of its enterprise customers. SAP B1 is a client–server model software product that is Microsoft Windows-based and connects to a back-end server; also offered on iOS and Android devices with a subset of the full features. SAP B1 can be hosted or managed on either a Microsoft SQL Server database (Windows) or SAP HANA database (Linux). SAP Business One has strong functionality and is a great fit for its original niche market segment. More recently Business One is sold into the mid-market and going directly up against NetSuite’s core market. SAP claims Business One is better integrated with other SAP products and is sold to fill gaps (acquisitions, subsidiaries, new business models). ● No native support for multi-company - requires multiple instances of the solution (no financial consolidation). ● SAP Business One is not a multi-tenant solution and is hosted by certified SAP partners, users still need a remote access client. ● SAP Business One has performance issues over 50 users. Epicor was initially founded in 1972 and headquartered in Austin TX. Currently a privately held company with over 4,000 employees and 20,000 customers across 15+ products. Most of Epicors customers are based in North America but has a presence in ~150 countries via partners. Historically, Epicor's sweet spots has been with complex manufacturing and wholesale distributors located in North America. Epicor 10 is a solid fit for complex manufacturers looking for choice in deployment models (on-premise vs cloud). Especially companies looking for a migration path to the cloud. Companies needing to support batch, process and discrete manufacturing with strong production, inventory and warehouse management capabilities will find Epicor appealing. NetSuite is proven: 16,000+ customers on a single code set / single product / single version. Customer investment in NetSuite goes directly to platform R&D and not spread across multiple solutions and product lines. Epicor has multiple products, developed across different development code. 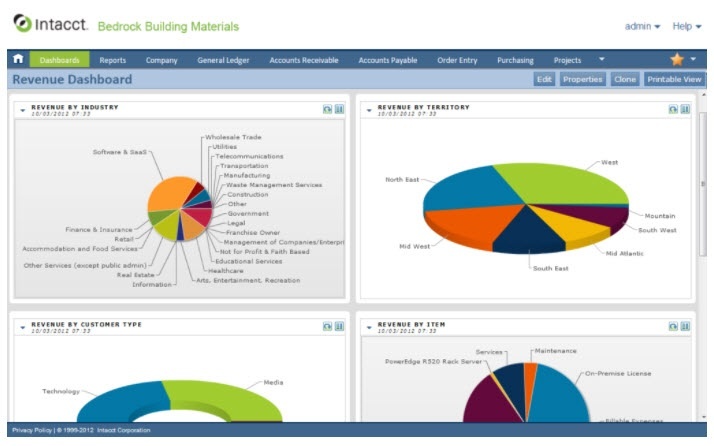 Epicor has no ability to provide a partner ecosphere like SuiteApps. Epicor partners are focused on implementation for the most part and do not contribute functionality to the platform. 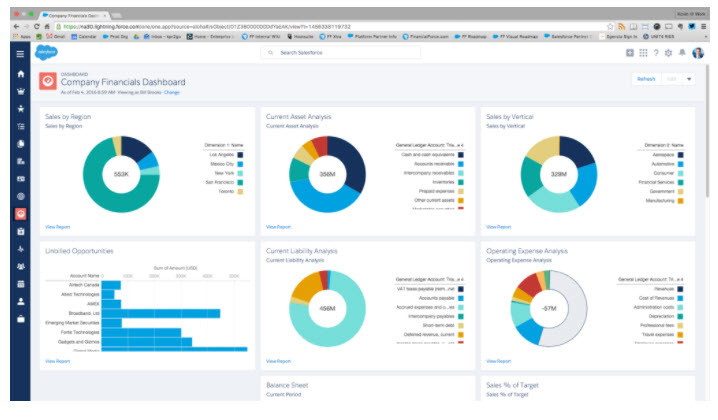 NetSuite Analytics is built on the same cloud platform. Data analytics is performed in real time. Epicor Analytics is an on-premise deployment only, so there is synchronization required to run reports.